In what order should you watch Devilman anime series? In what order should you watch the devilman series? Hello there, I’m back to you with another post that I think might pique the interest of many anime fans. Earlier this year, Netflix has released Devilman Crybaby. If you randomly came across this post and do not know what Devilman Crybaby is, then I will shortly explain. Devilman Crybaby is a unique anime featuring an out of the box anti-hero main character. The anime has a fast pace, and is also very visual and violent at the same time. It’s a great anime, and if you have not seen it, then I would definitely recommend watching it. Anyhow, let’s get back to what we’re here really for. Upon recommending Devilman Crybaby to friends, many asked me in what order should they watch Devilman anime series. So let’s get right into explaining that. What is the order to watch Devilman anime series? For all the worried and curious fans, I can assure you that there is no actual watching order. Despite this question popping up so frequently, there is no answer. Devilman Crybaby is a standalone series from Netflix. It was inspired by the 70’s original Devilman series. So what about those series from the 70’s, are they irrelevant? They are not irrelevant to the story because Devilman takes inspiration from the original story. And the original anime was also displayed in the scene. This is the scene I was talking about, they referenced Devilman in Devilman crybaby. And I do think that this was good for the new generation of watchers. 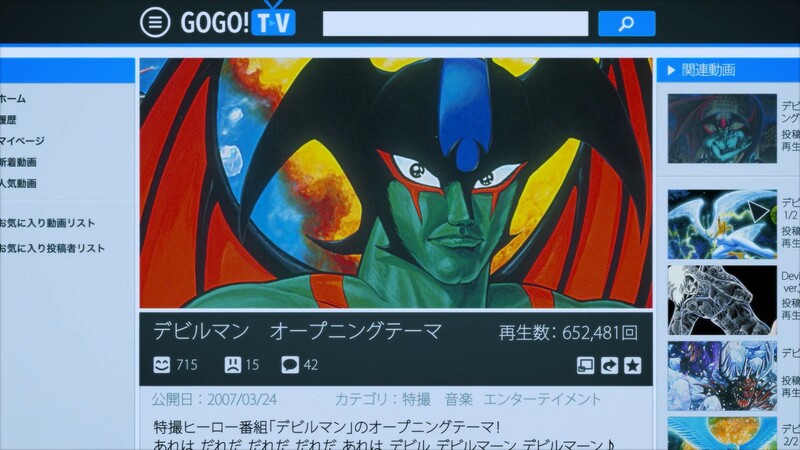 Many of older viewers knew about the Devilman series, they were quite excited to watch this new one. But the series really became popular, and a huge hit. So many of the newer generations, like me, stumbled upon this masterpiece. The story follows the original concept from the original Devilman manga from 1972. Devilman Crybaby is standalone and a complete anime that does not need any prior watching.